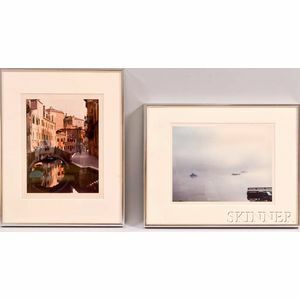 Two Color Photographs: Kennebec River, Bath, Maine and Venice, Italy. Both titled and signed "Todd Webb" in ink on the verso along bottom edge. 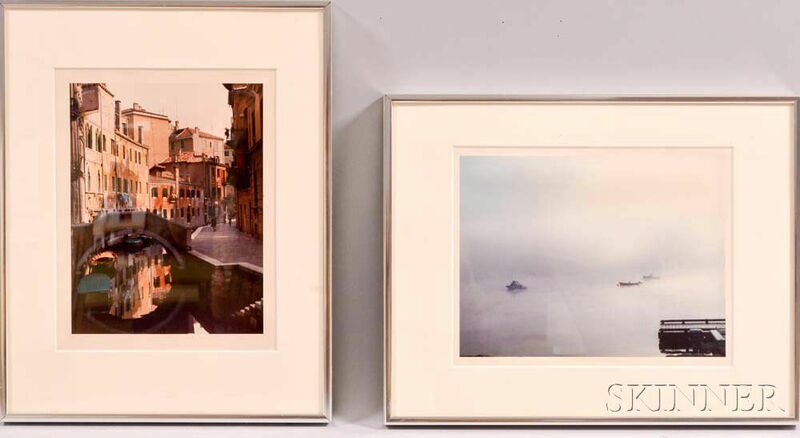 Chromogenix prints, image sizes to 6 3/4 x 9 in., both framed. Condition: Rippling to sheets, sheets taped to overmat with white linen tape.